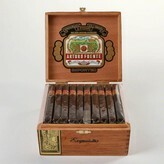 Arturo Fuente Exquisito Cigars are a carefully handmade cigar in the famous A. Fuente factory in Dominican Republic. The blend of these cigars is made from selected Dominican fillers and binder which are aged patiently. A lush, dark maduro wrapper is employed to cover this blend. A great Dog walker! American cigars were commonly made of Cuban tobacco until the 1962 embargo. After the Cuban embargo the tobacco industry had to resort to other resources. Carlos Fuente Sr. went searching for the Cubano flavors that American smokers craved. He traveled to regions such as Colombia and Puerto Rico seeking the perfect tobacco blend. 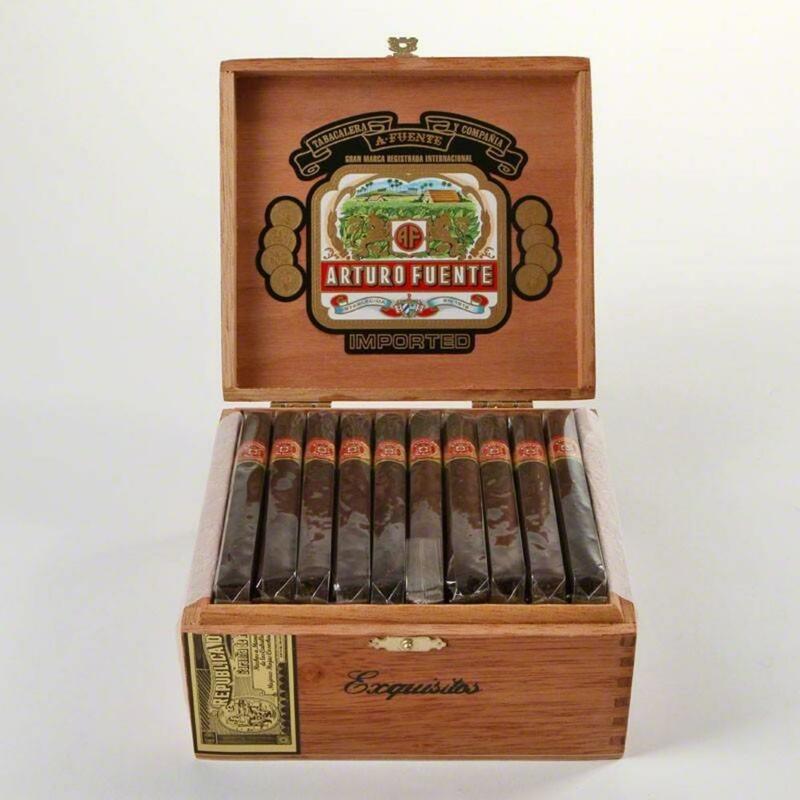 With labor costs rising and American production too expensive, Fuente moved his family to Nicaragua. But in 1979 another disaster hit the Fuente family when their Nicaraguan factory burned to the ground. Carlos and his son had accumulated enough money and decided to move their operation to the Dominican Republic, where the Arturo Fuente cigar company still resides. Carlos Fuente, Sr. recalled "In the old days, people were very brand true. Brand loyal. ... I feel the embargo put everybody level. People had to shop around to find a different taste that they liked." The Arturo Fuente Gran Reserva series is the company’s flagship cigar. This classic cigar is mild to medium-bodied, made of only the finest Dominican tobaccos and a Maduro Connecticut Broadleaf wrapper. The Exquisito Maduro, for such a small size, is a dark hand rolled cigar, rich and packed with earthy flavors and hints of coffee. The Gran Reserva is the perfect smoke to take to a party that has few if any cigar smokers. The 20 minute burn time of an Exquisto allows you to take a short break from your social gathering and enjoy the rich aroma of the Gran Reserva.